Use actionable weather-based insights in your business processes to optimize operations, reduce costs, improve safety, and uncover new revenue opportunities. Learn how The Weather Company Data Packages help you optimize operations, reduce cost, and improve safety. A guide to the APIs available as part of The Weather Company Data Packages offering. Provides many essential weather APIs, ranging from current conditions and forecasts, to radar and satellite data. Includes one of the highest-resolution weather observation networks based on over 250,000 personal weather stations. Includes a leading-edge forecasting, 200 meteorologists, our network of observations, radar and satellite assimilation. Includes forecasted, real-time, and trailing estimates of severe weather data to stay ahead of adverse weather conditions. Helps organizations use weather events to better serve their customers, including many, varied health indices. Provides a comprehensive view of the anticipated temperature and precipitation patterns for various time periods. Provides businesses with historical weather observations to understand how weather has impacted critical business processes. 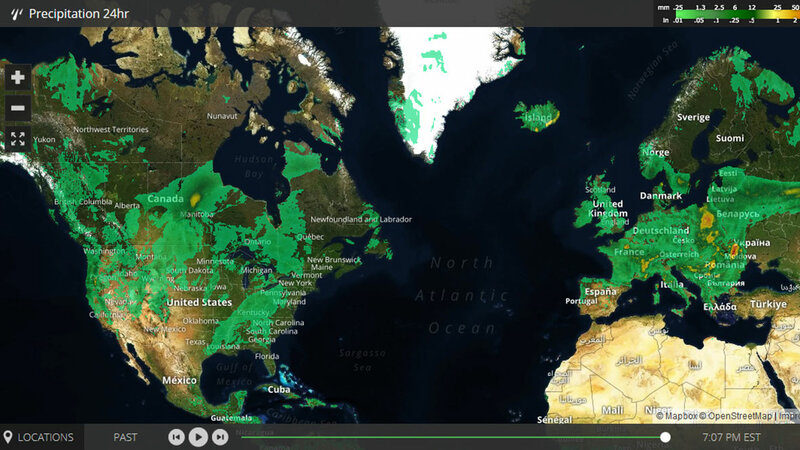 Explore how OnGolf is using weather data to disrupt the industry and create sustainability for golf courses.